The queen is viewed in profile. She sits on a stone throne. In her right hand she holds a large sword pointing straight up. Her left hand beckons for someone in front of her to approach. The queen’s throne has a butterfly motif carved into it and she wears a gold crown with a matching design. The silver of her sword is contrasted by a bright blue sky. Near the horizon, billowing white clouds loom low. She wears a robe illustrated with cotton ball clouds on a sky blue background. The landscape about her is simple; the world around her is neither lush nor barren. This card’s illustration contains many metaphors for the engagement with the world that comes with wisdom. The viewer cannot see the person whom the queen is calling forth. What the queen sees, has seen and understands is vast beyond what those on the outside can comprehend. Nobody can know all of your experiences, and how you put them together to form a world-view speaks of your intellect and emotional maturity. The butterfly is a metaphor for having risen out of a cocoon to soar to heights previously unimagined and to look quite beautiful in all your freedom to explore the world from a variety of perspectives. 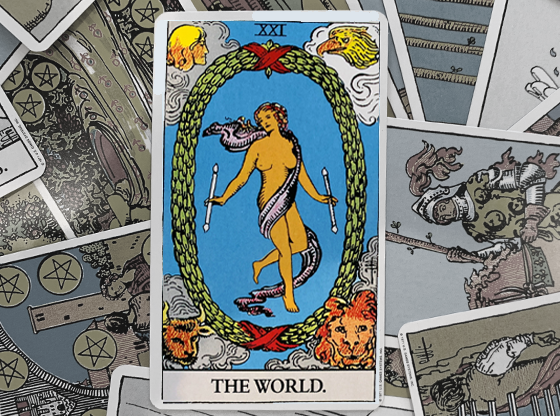 Swords are the Tarot deck’s suit that signifies ideas and communication. The Queen of Swords is cerebral and intuitive, and exercises good judgment based on a wealth of experience and intellect: the epitome of wisdom manifest. 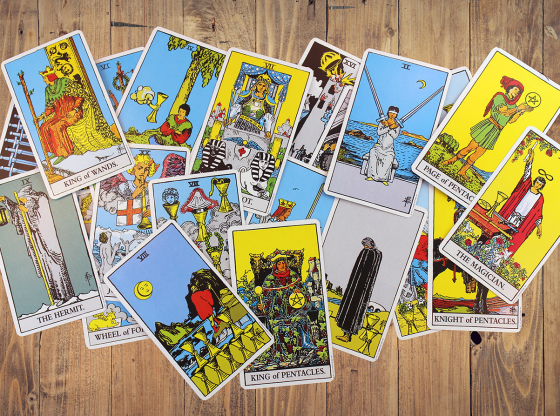 Every Tarot reading involves dealing cards into specific locations within a pattern. 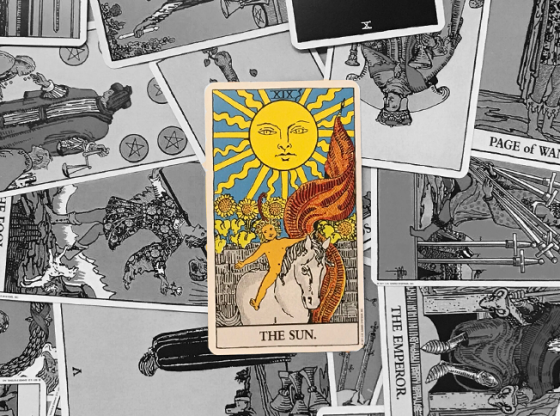 As the cards are dealt out, they land in positions representing your past, your present and your future. 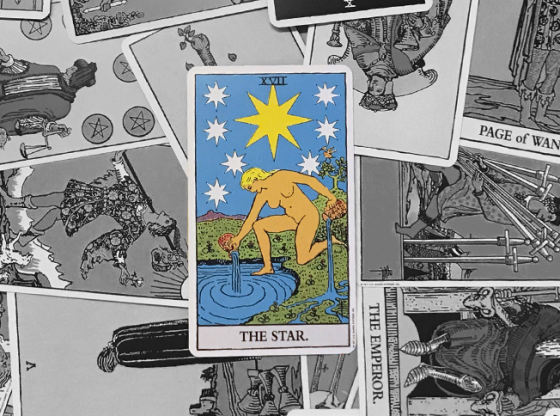 The meaning of any card can change based on where it lands in this pattern, known as the Tarot spread. When the Queen of Swords lands in the past position, the foundation of your current situation is rooted in a choice you made that seemed wise at the time. This is not a card of impulse. Your thoughtful decisions from a time gone by got you on the path to where you are now. This card could represent a nurturing upbringing, and having taken advantage of the opportunities to give you a head start in life. 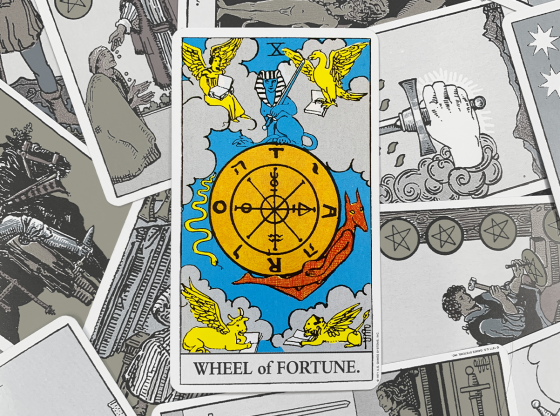 If the card is speaking about the recent past, you can be reassured that a big decision you made was the best choice based on the information you had at the time. In Tarot lore, it is believed that this card is actually an illustration of a vision of the past. The queen is pictured in profile precisely because we all rely on our specific versions of the past, ignoring inconvenient details and facts. She is looking at something you cannot see … that would be your future. Even though the future is not illustrated on the card, it is still part of it, and the same is true of the present … you looking at the queen in profile is the card’s present. If this card is drawn in the past position, you complete the circle it is meant to illustrate. 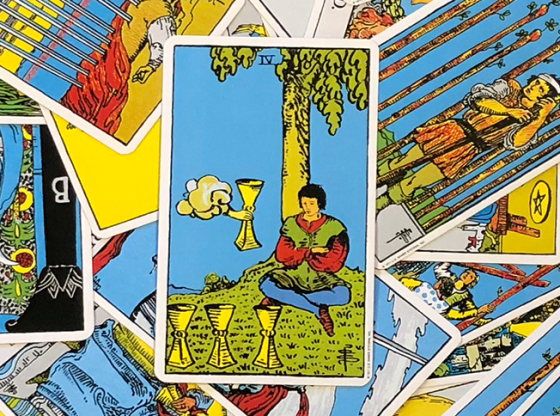 The card tells you that you made decisions based on what was to be had in the future and that if you seek guidance from the Tarot, relying on the wisdom you have accrued over time will be enough to get you to where you want to be. In the present position, the Queen of Swords may indicate that a certain jaded state has overtaken your life. You may be seen as a bit of a drag as you offer unsolicited advice to friends and family. The Queen is weak in the present position, as her profile indicates a definite looking elsewhere instead of at the situation. This card is a hopeful beacon in the future position. 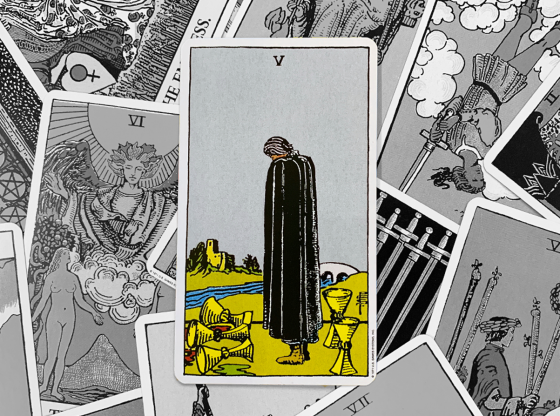 If you are getting a Tarot reading to find out what type of decision you will be making in the future, the Queen of Swords indicates you will make the right, mature choice. This card here also indicates that you may be achieving a mark of education that lifts you above a group of people with whom you associate in the present. 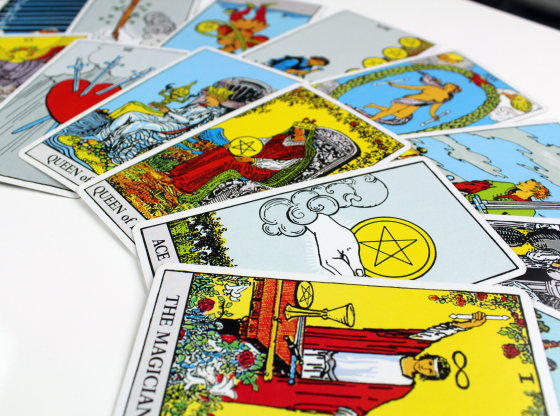 When your Tarot reading is dealt, each card’s meaning and message is altered by the cards nearby. A card in one reading can mean different things than in another reading simply due to the presence of different cards dealt into the spread. When the Queen of Swords is accompanied by the King of Swords, your wisdom will have influence with some powerful organizations. 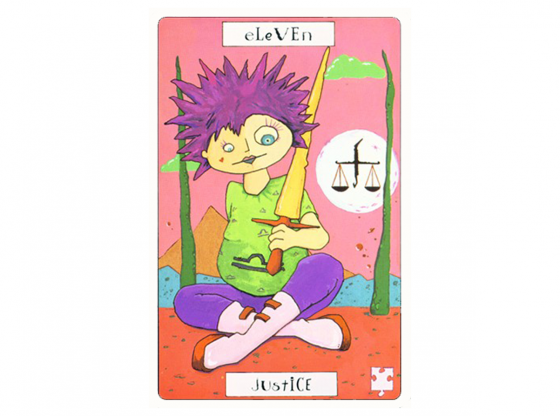 When the Justice card is present, your ideas and decisions will have an impact among many people. 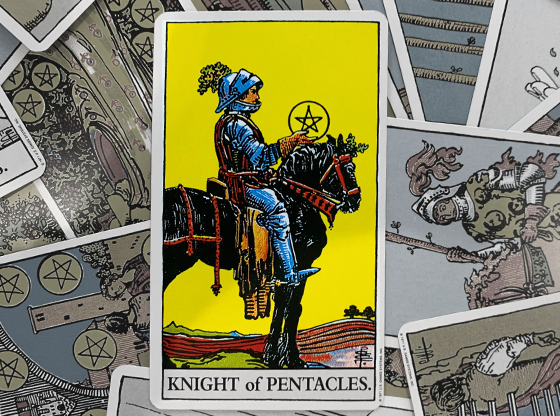 The Two of Pentacles is a card that combines with the Queen of Swords well and if you can afford to take a financial risk, this combination indicates that a small investment you make will have a big payoff. 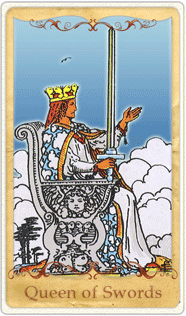 The Fool is a card that does not seem to go with the Queen of Swords. He is ignoring all worldly wisdom while she is the paragon of analyzing things for best results. But these two combine to produce a classic case of succeeding by not conforming to established traditions, and learning higher truths on the path few follow. When the Ace of Swords is in the reading with the Queen of the same suit, your reading is a call to a higher purpose. Have you found meaning in your life? You will soon, and a chance to contribute to the good of the human race will be yours to take.